The only time I had ever been on Whidbey Island was the time I drove to Bellingham after taking the ferry from Port Townsend. I marveled at the beauty of the island and the sunset over the Olympic Mountains. 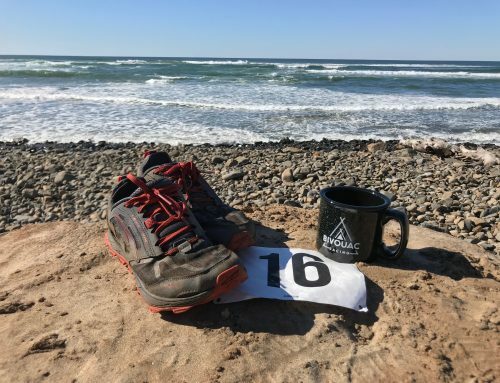 I decided I wanted to spend a weekend volunteering and running Northwest Trail Runs Fort Ebey Kettles Run. On Saturday, we managed aid station #2 for the marathon and half marathon. The marathon was two loops of the half marathon, so we got to see these runners twice. We blasted music, rang the cowbell, filled cups, and gave a lot of high-fives to get runners to the finish line. The day was motivational but also a little exhausting. After dinner and a good night’s rest at an Airbnb in nearby Coupeville, I was ready to run my own race on these trails. I hadn’t raced a shorter race like a 10k in a while, so I wasn’t really sure how to pace myself. 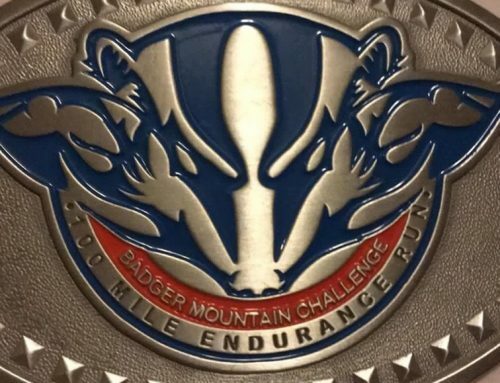 I knew the 1320′ feet of climbing would make a challenging race, but I had no idea what I was in for. When we started, I placed myself right behind the leader. We did a quarter-mile loop back to the starting point and I realized I was going way too fast. It wasn’t long until he gapped me and we headed toward Lake Pondilla via the Bluff trail. It was a cold, clear February day. The mountains were in view above the sound, so it was easy to soak in the views. I climbed a couple of hills before reaching the lake, and then I heard a runner behind me. I stepped aside on the single track to let him pass, then realized a woman was right behind him, so she passed me as well. We started climbing the first hill at Kyle’s Kettle trail, which elevates 150 feet in just a quarter-mile. I passed the woman back on the descent, which was a mistake. She was right on my tail at the next hill. I stepped aside for her to pass me, and I was never close to her again. 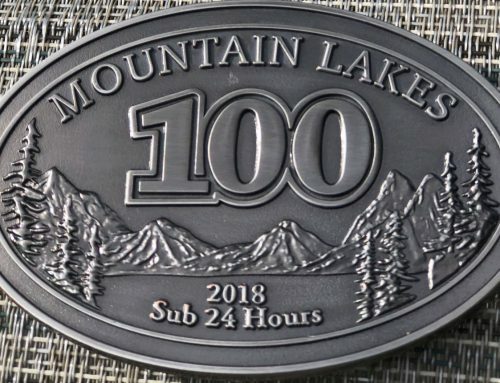 The description of the race on the website is “mostly rolling route winds through and among forested kettle depressions, seemingly created by a gigantic ice cream scoop but actually formed by gigantic hunks of melting ice. 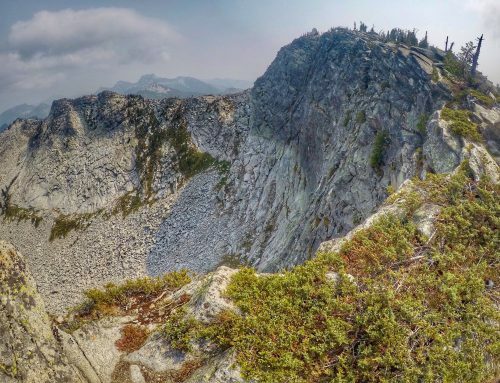 Many of the trails flow gently along the rims of these depressions, with some sections featuring tighter twists and turns.” It couldn’t have been expressed any better. 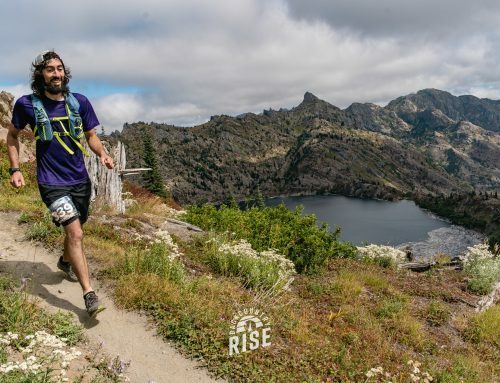 Running on trails with names like Raider Creek and Forest Run, I was constantly moving right and left like I was competing in the giant slalom of an Alpine World Cup ski event. Stepping over the constant roots was like running the high step ladders in a football drill. Even though the trails are technical, they are dry, soft and spongy due to the rainshadow and the tree cover. At 3.6 miles, we reached the bluffs overlooking Admiralty Inlet. It was a teaser because it seemed the race was going to be flat running the rest of the Bluff trail to the finish. Boy, was I wrong! The trail took a steep drop toward the beach and went straight back up the Cedar Hollow Trail to Bluff Trail for the toughest climb of the race. That was only teaser #1. Number two was about a mile later. Running on the lovely Bluff Trail, the course took a sudden left turn just as the finish line was in view. The route was another quarter mile loop that ended with a climb straight up in the sand. Suddenly I was running the other way on Bluff trail, which allowed me to say hello to fellow trail runners. I could tell I was well in fourth place overall as no one was close to me. The rest of the race rolled through the campgrounds and the featured bunkers in the former military base and soon I finished for fourth place overall and third male. 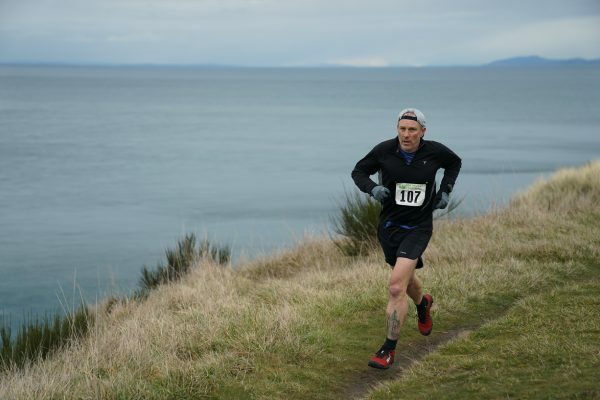 Northwest Trail Runs always put on a great event, and the Fort Ebey Kettles race is no different. See Trail to 50’s YouTube for a great video of the Fort Ebey Kettles race. I highly recommend making a weekend of it and visit the island for fantastic food, beer, and wine.